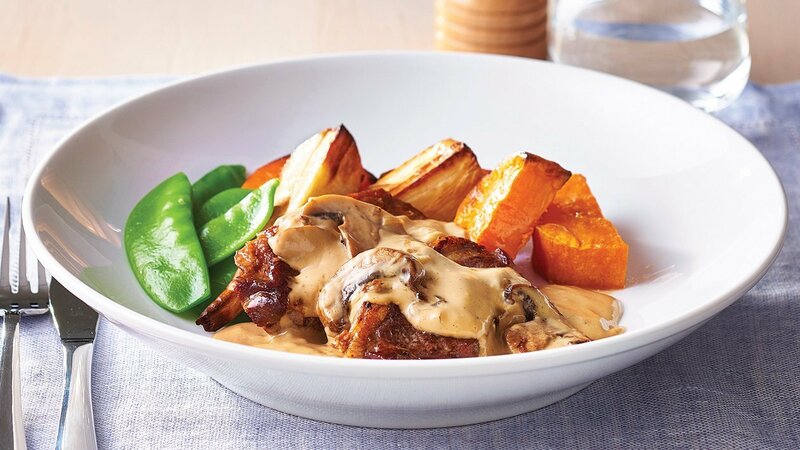 The combination of the hollandaise with the lamb and mushrooms goes beautifully together. Roast the lamb in the oven for 10 minutes at 180 degree Celsius or until lightly browned. Sweat the onions and mushrooms with a little oil. Add the water, CONTINENTAL Rich Brown Gravy and bring to the boil while stirring, add the KNORR Hollandaise. Pour over the lamb, cover and simmer in the oven at 160 degree Celsius for 40 minutes or until the lamb is tender. Serve with sweet potato, roasted parsnip.